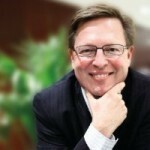 Verne Harnish is the founder of the world-renowned Entrepreneurs’ Organization (EO) and is known as the “Growth Guy” as a syndicated columnist. Verne is also the owner of Gazelles, Inc., providing strategic growth and leadership planning through this global education and coaching company. For 15 years he has chaired EO’s premier CEO program, the “Birthing of Giants,” held at MIT. Verne is also a regular contributor for Fortune magazine and is the author of Scaling Up: How a Few Companies Make It…and Why the Rest Don’t (Rockefeller Habits 2.0) . He has spent more than 30 years helping others build entrepreneurial teams and he chairs annual Growth Summits in North America, Europe, and Asia. Jan Sauer is a partner with Katapult Group, a global advisory firm where he shares his more than 13 years of b2b sales experience. 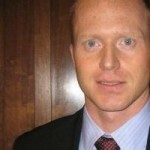 He is passionate about positively changing the world through the implementation of technology advancements. He has also founded and run multiple companies, including TimeGrab. Before he joined the startup world he led the Trade Commission of Denmark’s office in Atlanta, helping to bring this particular office to the top performer in the organization. Jan earned his Master of Science in Design & Communication Management from Copenhagen Business School and his MBA from the Georgia Institute of Technology, and he is a graduate from the Harvard Business School.